s shocked to get a press release the other day telling me about a new waterproof jacket that retails for £750, with matching over-trousers that cost £630, would be an understatement. Like many hill goers I’ve gone through periods of being a bit of a gear junkie. Having edited outdoor magazines for over 30 years I’ve pretty much had access to the best of outdoor gear and over the years I’ve been generally impressed by how the outdoor equipment industry has been able to continually re-invent itself. My personal gear junkie periods fall largely in the early years of my outdoor magazine career. During the late seventies and eighties, when I had the grand title of ‘gear columnist’ in The Great Outdoors magazine, there was an exciting explosion in design innovation and fabrics with the likes of Robert Saunders, Ultimate Equipment and then Pheonix producing the kind of lightweight tents that were to break a long-standing love affair with the superb, but heavy, Vango Force Tens. Berghaus and its packs, Mountain Equipment with its down filled sleeping bags and Karrimor were the new kids on the block, the latter having expanded into packs from bicycle panniers. But not all the new innovations were entirely successful at first. I remember Peter Lumley and I venturing forth on a backpacking trip in the Cairngorms with a brand new waterproof/breathable fabric called polytetrafluoreythylene. Used in the plumbing industry by an American called Bob Gore it was laminated between two layers of nylon and marketed as Gore-Tex, which was a bit easier to get your tongue around, but it sadly wasn’t very breathable and not entirely waterproof. Peter and I had a real soaking on that first trip and as I recall Pete came close to hypothermia. It took us a long time to have any kind of faith in Gore-Tex, although Gore did improve it drastically over the years. I still believe it’s as good as anything, with perhaps the exception of Paramo’s Analogy gear. But over the years my enthusiasm for new outdoor gear has waned, largely because I’ve become increasingly aware that gear is only a tool, and that expensive equipment didn’t necessarily mean that I was going to enjoy my expeditions to the hills any more. I have also realised that the real days of innovation are probably over. Sure, there has always been an element of tinkering and changing ‘colourways’ but essentially I could still be wearing the first fleece (Patagonia and The North Face called it ‘bunting’ away back in the early days) that I bought in the early eighties and I could still get by with the neoprene waterproof I bought from Blacks in the early seventies. It might get a bit sweaty on the climbs but I always get a bit sweaty on climbs, no matter what I wear! Some fresh excitement about gear returned about a dozen years ago when a new and vibrant industry began in the States. The innovators were long distance backpackers and their prime motivation was producing home-made gear that weighed ounces rather than pounds. Some of these amateur manufacturers began to sell their gear and it was about this time I took an almost evangelical zeal in reporting this new trend in TGO magazine. I think part of the reason I became so excited by this new trend was that it was bucking the corporate element that had taken over the UK outdoor gear scene. In my early years as an outdoor writer I loved to go to the annual trade show at Harrogate, largely because it was, as Jim Perrin once described, a tribal gathering. There were plenty of like-minded souls, lots of t-shirts and jeans and not many suits. That was to quickly change. As outdoor clothing became more mainstream the industry attracted the corporate suits and the number crunchers and the original movers and shakers began to sell out. But history has a habit of mimicking itself and now many of those independent stalwarts have mushroomed into proper commercial companies and some have sold out. Go-Lite, who originally championed the designs of outdoorsman Ray Jardine has gone bust and many of the early uber-light designs have become heavier, to meet the demands of the mass market. Since standing down as editor of TGO magazine five years ago I’ve pretty much lost touch with outdoor gear and the outdoor gear industry. I was asked to become a director of the Outdoor Industries Association board but I’m afraid I lost interest very quickly. Nowadays I buy what gear I need from what are often referred to as the ‘budget’ brands, and my focus is very much on the experience of being out there, simply enjoying the outdoors on foot and on my bike, which is far from being a top of the range model. While cycling has its own world of gear manufacturing and its associated gear-nerd groupies I’ve found ‘adventure cycling’ enthusiasts markedly and refreshingly different. 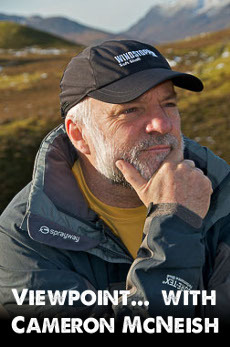 One of the hats I wear is chair of the judging panel of the National Adventure Awards and mixing with, chatting to and reading about some of the adventure junkies involved has made me appreciate their attitude to gear. And of course these ‘new and improved’ models are all more expensive than their predecessors. Indeed, after a wet day recently looking around outdoor shops in Keswick I was literally shocked at some of the inflated prices on view. To be fair few were as expensive as Mammut’s new Norwand Pro jacket and trousers that cost £750 and £630 respectively. The matching fleece costs £200. Or the new Kjus Blade snowboarding jacket that retails for a cool £1200. Yep, that’s correct – twelve hundred pounds! But I baulk, I recoil at the thought of paying £120 for a pair of trousers, or anything over £50 for a fleece. While folk are willing to shell out their hard-earned dosh so easily it’s no small wonder the manufacturers continue to hike prices. Mostly these are extreme prices for gear that is to be used in extreme conditions, but I have no doubt that such kit will be seen in the streets of Aviemore or Fort William as the users wait for the rain to go off before they head for the hills. And why not? If people have money to waste, even in these times of austerity, then that’s on their conscience. I’m not here to criticise them, or those who feel inadequate unless they are dressed like something out of a Field & Trek catalogue. I am very well aware of the power of corporate marketing, and outdoor folk are no less prone to ‘wearing the labels’ than the readers of Vogue or Esquire. All I really want to say is that you really don’t have to dress up like a Chris Bonington to climb Duncryne Hill; you don’t have to get into debt to enjoy the hills. 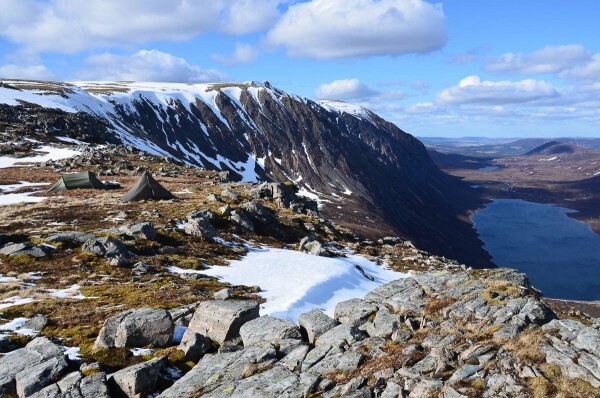 There is a lot of perfectly adequate gear on the market that is a fraction of the cost of the ‘top brands’ and most of it absolutely fine for a weekend trip to the hills, even in winter conditions. Give it a try. You’ll save a fortune. I used to have an old pal called Peter the Plumber. Peter had been a member of the early Creag Dhu climbing climb and he openly scoffed at my modern outdoor clothing. He once told me that the only difference between his summer climbing clothing and what he wore in winter was a safety pin! 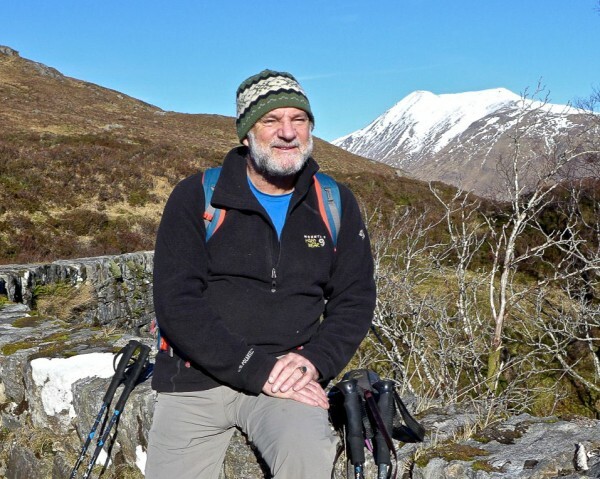 You can catch up with Cameron McNeish on the shores of Loch Lomond on Monday, when he will be attending the unveiling of the new statue of Tom Weir on the 100th anniversary of Tom’s birth. If you can’t be there, Cameron’s new two-part BBC2 Scotland special – the Western Way – also begins on Monday night at 6.30pm; for those in England and Wales, it will be on iplayer.